Westosha Sports Complex will host a 12-week, 9-Hole Tuesday Golf League starting Oct. 23 (see schedule below). Call to reserve your spot 262-885-6110. Cost is $20 per player per week, two installment payments of $120. First is required date of signing up, second due by Nov. 1. First eight players to sign up get choice of 5 or 7 p.m. tee time. A different 9 will be played each week. Putting will be set up as a gimmie within 8 feet. 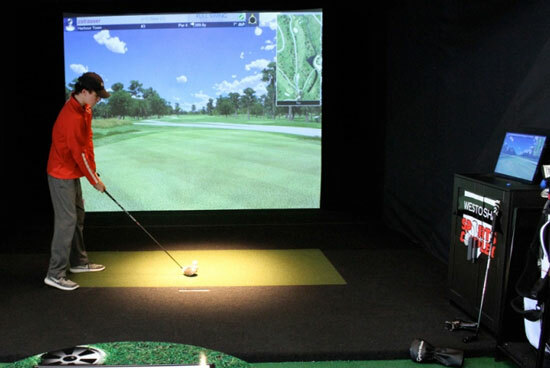 Putting can be done from any spot within the simulator. If you are not on the green you must putt from a point even with the tee. When in the sand you must use the #5 blue tee. Total Net score for entire league will decide winner of the league. $5 per week per player will go towards prize pool: 1st(40%), 2nd(30%), 3rd(20%), and last place(10%) will be awarded prize money. Dates of play: Oct. 23, Oct. 30, Nov. 6, Nov. 13, Nov. 27, Dec. 4, Dec. 11, Dec. 18, Jan. 8, Jan. 15, Jan. 22, Jan. 29. Call to reserve your spot 262-885-6110.